At Gary Irwin Solicitors, we try to ensure that the sale, re-Mortgage or purchase of your property (ie: conveyancing) runs as smoothly as possible and without any unnecessary delays. If you need to talk to us about advice on buying or selling property, please use the contact details at the bottom of the page, or the email form on the Contact Us page. 1. Before you start looking first check with your Bank/Mortgage Broker and obtain pre-authorisation/loan approval so you'll know exactly how much you have to spend. Then talk to us and we will email you a quotation on costs and outlay involved with your purchase. 2. Set your price bracket before looking for a property to buy. 3. Don't get hit with unexpected stamp duty - buying a property that puts you into a higher stamp duty bracken can cost thousands of Euro extra. Contact us for the current stamp duty rates. 4. Buying a property can be a very personal/emotional decision and it's very easy to let emotions cloud your judgment. Make a check-list before viewing a property and make sure everything is ticked before making a final decision. 5. 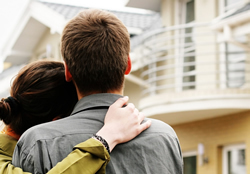 Finally, don't be pressured into buying a property you are not 100% certain about. Weigh up all the pros and cons first. 6. Before you make a decision to buy have a look around the area. Check out the amenities, ease of travel to work/town, etc. If possible, talk to the neighbours. 7. Make a list of questions you wish to ask the Estate Agents, Solicitors, Bank/Mortgage Broker. Don't be shy!! If at all possible bring a friend/family member to any meetings who may have a fresh view on things. 8. If you're buying a second-hand house be sure to get it structurally surveyed. This is different to the surveyor the Bank sends out. Your surveyor/qualified architect should check the property from top to bottom and confirm the house is structurally sound. 9. If you're selling in order to purchase now is the time to start organising your packing. Make all arrangements prior to your closing date. 10. When you finally complete your closing you will be given the keys to your new home. Our aim is to provide a reliable, accurate and affordable legal service to private individuals and commercial concerns. If you need to talk to us about any aspect of property purchase, please use the contact details at the bottom of the page or the email form on the Contact Us page.